Spaces for Change took its crowd-sourcing tradition a step further by using the social media to solicit for, and document individual stories describing day-to-day experiences of the fuel scarcity situation across the country. 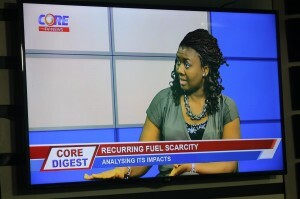 Transforming data crowdsourced online into offline advocacy action, Spaces for Change’s executive director, Victoria Ohaeri featured on the morning news segment on CORETV (Channel 329 on Startimes) where she analyzed the impacts of the biting fuel scarcity in Nigeria, especially on women and the poor. Beyond our staff members’ regular appearances on national TV and radio stations to discuss the reforms in the energy sector, Spaces for Change further transforms crowdsourced data into advocacy action using a combination of strategies: we often rely on social media, especially Facebook, to carry our message to diverse audiences. We also integrate collated data into our community outreaches, youth mobilization and mass media programmes. 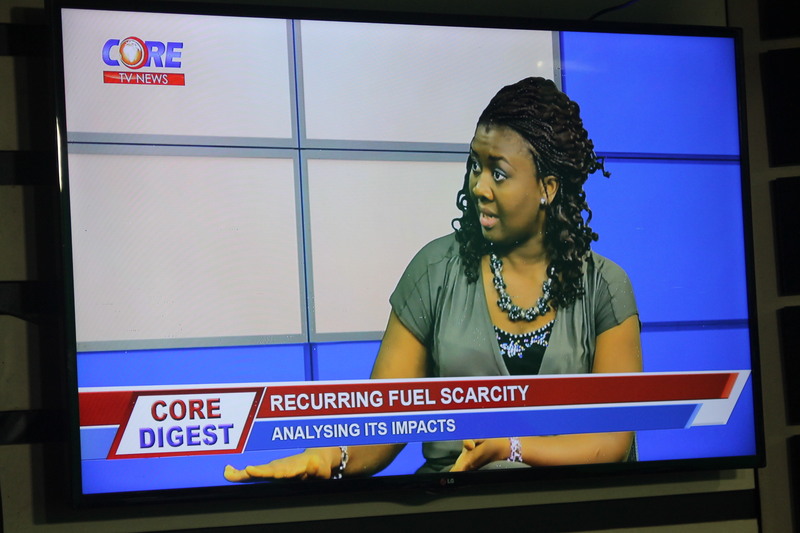 For instance, our findings and commentary on the fuel crisis in Nigeria was published in PREMIUM TIMES and a number of online and newsites. Through these approaches, we want to give new communities and voices an opportunity to participate in the formulation and implementation of social and economic policies in Nigeria, by creating spaces for interaction and providing them with resources to contribute in public decision-making.